Failosophy :: Show Information :: RabbitTV GO! 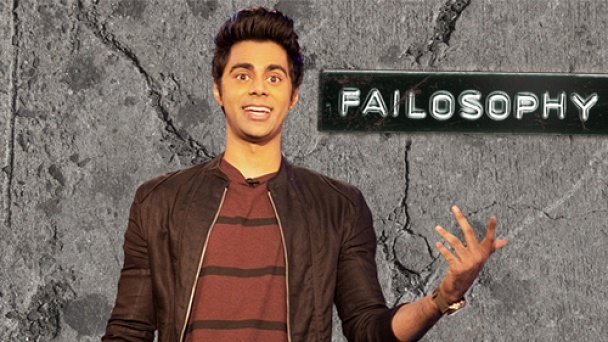 "Failosophy" is the new series that highlights what can happen when engaging in technology and social networking becomes an epic mishap. The show takes the craziest content found on the internet and breaks down the awkward, and sometimes cringe-worthy moments, that have become the guilty pleasure of millions. Hilarity ensues as photos and screenshots are flashed across the screen giving viewers a look and laugh at auto-correct mishaps, untimely tweets and unfortunate photos currently being forwarded, liked and pinned across social networks. Each episode also features an embarrassing audience-submitted recreation unfortunate fail they experienced personally as well as first-hand stories - as told by every day folks on the streets - of over-the-top epic fails recounted for our audience to enjoy.